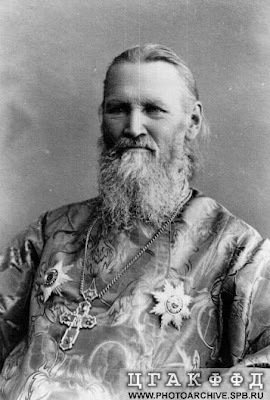 Today is one of the feasts of our Father-among-the-Saints, St. John of Kronstadt. See below for links to his biography and a few quotes by him. O Wonderworker living in Christ for ever, with love have mercy on them that are in danger; hear thy children who call upon thee with faith; be thou compassionate unto them that hope for aid from thee, O Father John of Kronstadt, our beloved shepherd. Note: Besides his awe-inspiring life and teachings, also see the great prophetic vision that St. John saw, about various topics, including the martyrdom of the Last Czar (St. Nicholas), the Antichrist, etc.